A headache or cephalalgia is pain anywhere in the region of the head or neck. It can be a symptom of a number of different conditions of the head and neck. 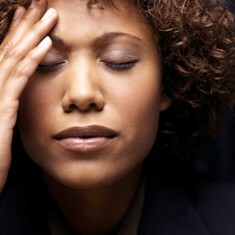 Headaches can result from a wide range of causes both benign and more serious. Brain tissue itself is not sensitive to pain as it lacks pain receptors.